Facebook Messenger is the newest channel out there. 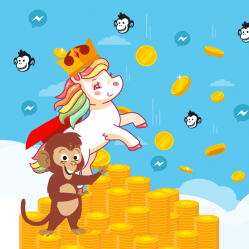 Pairing Messenger with MobileMonkey’s marketing automation platform for Messenger has proven outrageous marketing engagement. If you’re flexing the power of a shiny new Lamborghini and decide to step on the gas… you’ll get a speeding ticket. Facebook Messenger monitors the ratio of complaints per message for a Facebook business page. Like email marketing platforms that might ban a business when the complaint ratio is 1 complaint per 1000 emails, Facebook maintains a threshold for complaints that can warrant suspension of messaging activities. Your page is close to exceeding Messenger’s limit for negative user feedback. If you exceed our platform’s limit your ability to send messages or open new conversations may be restricted. You can check your block rate under Page Insights > Messages. See your blasting complaints stats from Facebook Page Insights. “Give people control over the messages they receive.” We’ll review how to create an opt-in for subscription messaging. 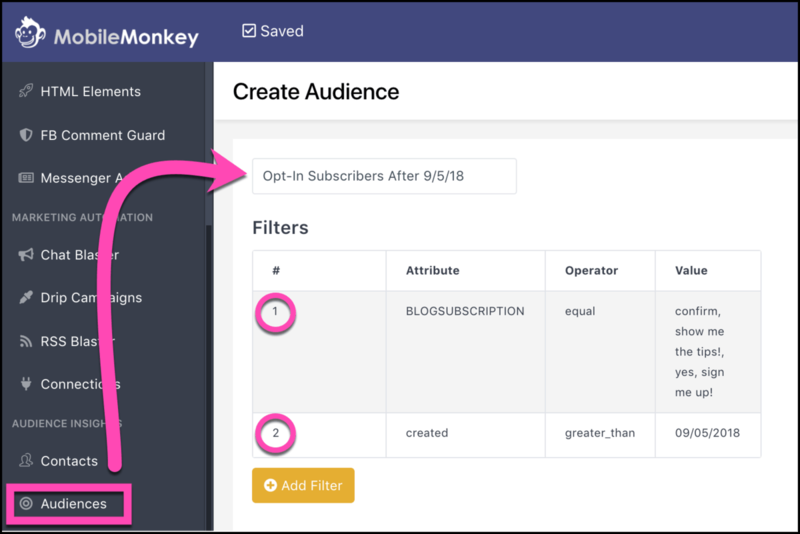 Use MobileMonkey audiences to create a custom audience segment of subscribers that you send messaging updates to. 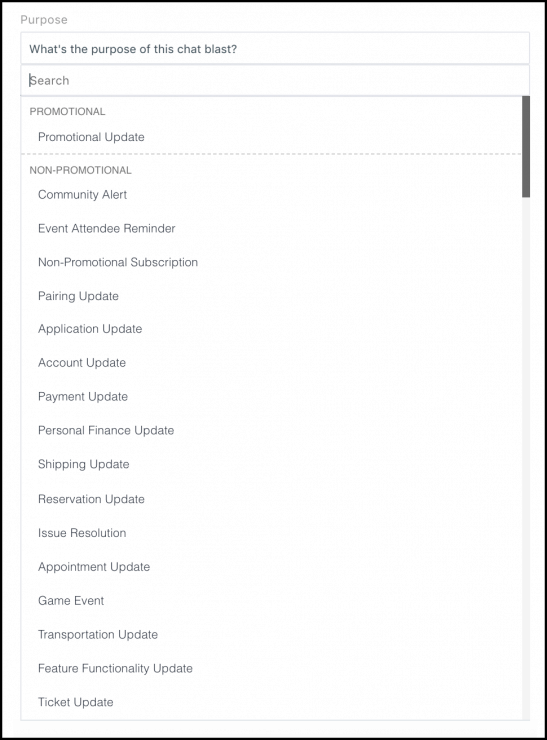 Clearly state how users can unsubscribe from messaging updates in the copy of each campaign. Use Messenger’s designation for “promotional update” when appropriate and follow the 24+1 rule, explained in detail below. To see how many complaints have been reported to your Page for messaging, go to your Facebook page and pick “Insights” from the menu at the top of the page. Which you can see for the last 7 days, 28 days or 180 days. 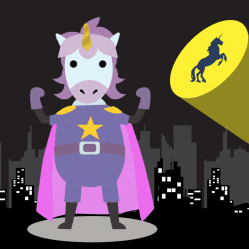 Just like email marketing, your Facebook Messenger marketing starts with an opt-in. 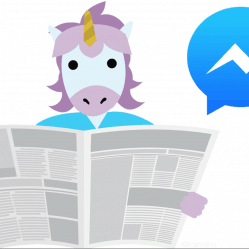 If you’d like to get my updates on all the Facebook Messenger news, tips and tactics from MobileMonkey, sign up here. For all my tips on creating your Facebook Messenger opt-in page check out this detailed tutorial. 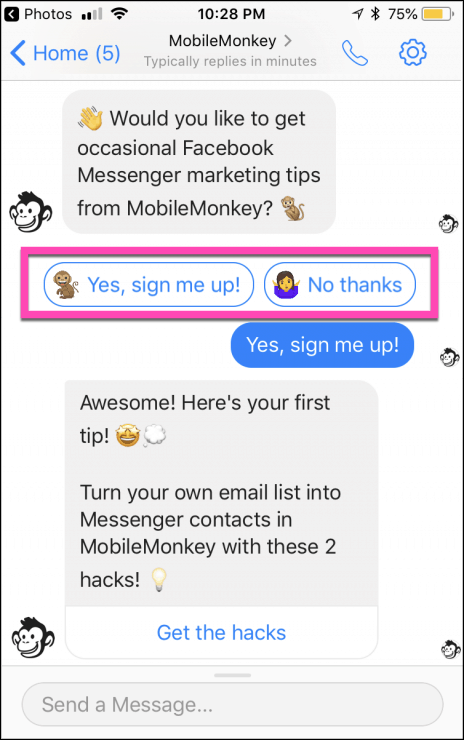 Step 1: Create the Facebook Messenger subscription opt-in page using the visual chatbot builder with a Quick Question widget. The quick question widget is one of the most powerful content widgets in the chatbot builder. It allows you to ask a simple question of your reader, and save an attribute to their contact profile that’s used to create a custom audience (more below). Step 2: Create a link to the Facebook Messenger opt-in page you can share everywhere. When you make a new contact, however they come across your page, you can send them your Messenger opt-in page as a scheduled automation sent at 15 or 30 minutes. Check out how to do drip campaigns with Facebook Messenger chatbots for more information on this method. You can also link people to your opt-in page. From HTML Elements, click “Add HTML Element” and then create a new link to Messenger. And that is how you secure an opt-in from your new Messenger contacts that allows people to choose the content they receive from you. Another important step in reducing your chat blasting block rate is sending your blasts to your custom audience of subscribers. Custom audience segmentation is one of the powerful features of MobileMonkey. In an email marketing platform, you build lists of contacts who sign up for certain types of updates or on certain topics. In Facebook Messenger marketing you create dynamic segments of your contacts based on their customer profile attributes. Create an audience of everyone who signed up for a webinar to send an event reminder. Create an audience of people who responded positively to a customer survey to reengage promoters. Send an offer that lines up with their interests — like a B2B guide for people who identify as working in a certain vertical. And of course, send content to people who have subscribed to your updates. 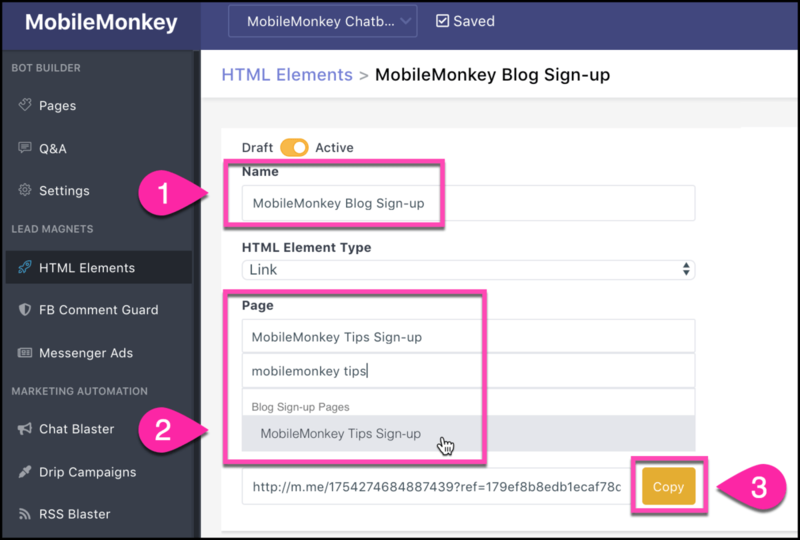 It’s easy to create a custom audience in MobileMonkey. Here’s how you do it for your opt-in list. There are some advanced segmentation tips for creating audiences, like layering filters to include certain segments and exclude other segments. 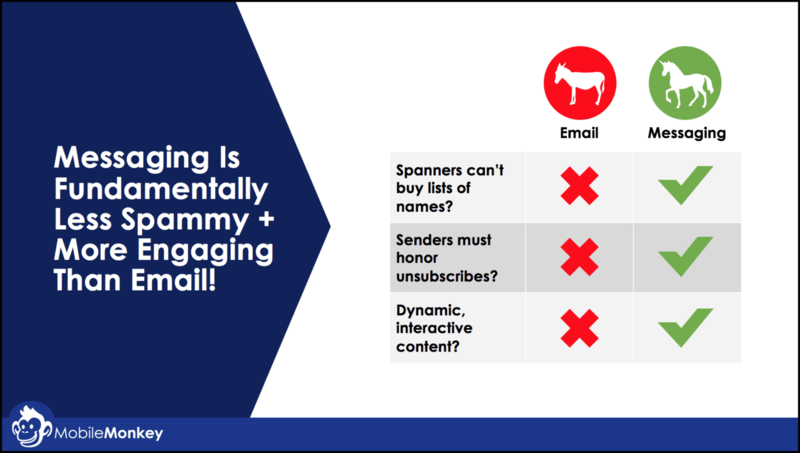 The important thing to remember here is that your sending high-impact messages to people and you want to avoid turning people off by matching your message to your audience and sending updates to people who have asked for them. When it comes to unsubscribing to messaging, MobileMonkey takes care of all the technical stuff on the back-end. You don’t have to worry about much except for letting people know how to unsubscribe. This is done when the user simply types “stop” to your page. Since it’s already built in and easy for the user to do, we recommend letting people know how to unsubscribe by including some language in your chat blasts. “Type “stop” to unsubscribe any time” should do the trick. Be sure to include it in every message. If you don’t, and people aren’t sure how to stop messaging, you’ll surely get complaints to Facebook. People ask me if Facebook Messenger is going to become the next email — overrun by noise and irrelevant messaging — aka, the haven of spammers. I think Messenger has a lot of protections in place that email can never match that will keep this from happening. Facebook is a single authority that oversees and polices its anti-spam policies. Email doesn’t have a governing body that can manage unsubscribes or assist users whose unsubscribe requests are overlooked. Facebook Messenger has the most engaging platform today, and with this great power, they take their responsibility very seriously. Facebook Messenger GDPR issues as well as general hygiene of the channel are definitely at play in Messenger’s policies today. Most importantly, marketers need to be aware of an in compliance with the 24+1 rule of promotional messaging. 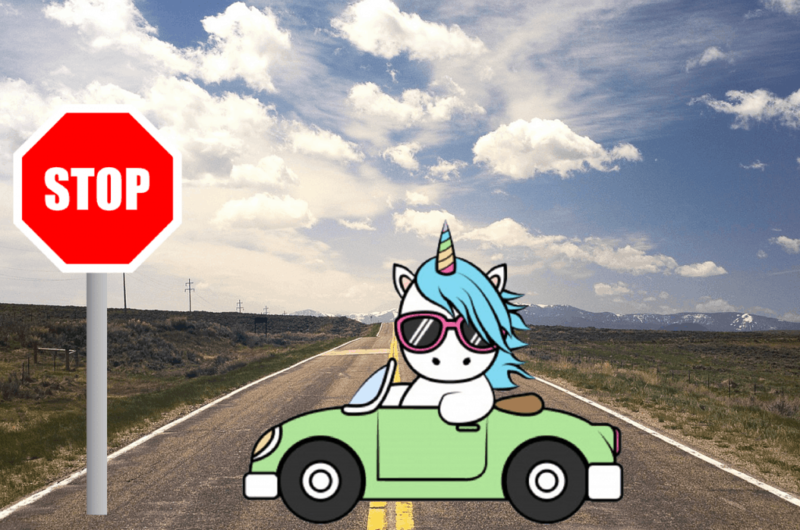 In working to create a great Platform experience for everyone, we ask developers to ensure the bots they build comply with our Platform Policies. Your bot doesn’t comply with the following: Platform Policy 17.8.1.a: After people interact with your business or Bot: You may message people within 24 hours of a person’s interaction with your business or Bot (ex: messaging your Bot or interacting with a Messenger plugin on your website). Except as permitted in Platform Policy 17.8.1.b and 17.8.1.c, and until the next interaction, you may send one additional message after this 24-hour period in order to follow up on your conversation. Messages can be sent during a 24-hour window that resets any time the person sends a message to the business. One additional bonus message may be sent outside of the 24-hour window to follow up on the conversation. Platform Policy 17.8.1.c.ii: Subscriptions messages may not be used for sending advertising, marketing, solicitations, or promotional content, even if a person opts-in to receiving this content (ex: daily deals, coupons and discount or sale announcements are not permitted). Please respond here by detailing changes you’ve made to address this issue. Let me know when you’ve updated your bot by replying to this email. If you have outstanding questions, respond here and I’ll do my best to help. 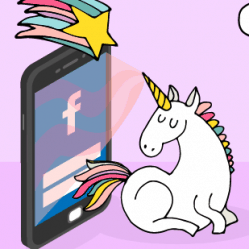 Facebook has a straight-forward rule that business pages can send unlimited messages within the first 24-hours of a new contact creation, and then 1 promotional message after that. Any message that is engaged with by the user resets the 24-hour clock and allows the business to send messages for the next day, and then again, one promotional message after that. The mechanics of the 24+1 rule are built into MobileMonkey, so all you have to do to stay in compliance with the 24+1 rule is use the “purpose” drop-down in the Facebook Messenger chat blaster to identify the purpose of a blast as promotional. When you’ve got a sweet new rocket in the driveway, no one will question you when you take it for a spin, but you should buckle up and pay attention to the rules of the road, for everyone’s safety and benefit. We’re building a powerful highway for long-term relationship building, powered by top-tier engagement and meaningful brand messaging. Follow these tips to keep your messaging in line with Facebook’s guidelines and enjoy the benefits of this magical new channel.